With the recent spoiling of some special-edition judge foils, it became clear to me that there are more judge foils that need to be released. I leave it to others to speculate on the price of the promo Force of Will (ALL THE DOLLARS) and instead I’m thinking of my experiences buying foils that are given out in judge packs at high-level events for a while. Judge foils usually follow a pattern of being at a very high price on their release, and that price slowly comes down over the duration of the card being given out. For example, a friend of mine bought a Xiahou Dun, the One-Eyed when it was first printed as a promo for the price of $120. Eight months later, it could be had for $60. Sword of War and Peace & Sword of Body and Mind (old frame) – We’ve gotten three of the five swords in the old frame, and Wizards knows we like our cycles. Expect these as a when, not an if. WaP and BaM are the weakest of the Swords, and would probably end up in the $30 range. 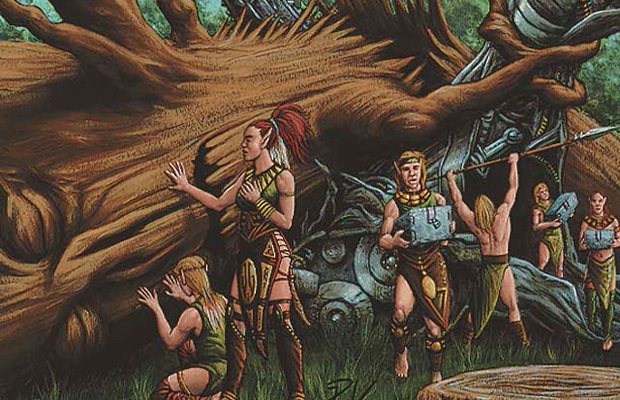 The other Praetors in Phyrexian – Again, this is a cycle begging to be printed. The Phyrexian Elesh Norn is sick, and I’d love to have this same effect applied to the other four colors. Since the other four see less play and are arguably weaker, their prices will be low too, probably down to $20. Kozilek, Butcher of Truth – There are three Legendary Eldrazi, and Ulamog and Emrakul have each had a special edition. Set foil Kozilek is surprisingly expensive, and the judge foil wouldn’t make it any lower than $60, I’d say. Iona, Shield of Emeria – As a reanimation target, Iona is super-popular for her ability to shut out an entire color. She’s popular in Cubes for this reason, and there are polite disagreements about her use in EDH, when a reanimation/Kaalia/Bribery can put her in play early and lock out some players. A judge version of her would be around $30 once the initial demand was met. Mana Drain – If Force can finally make it, this is the other one that Eternal players are eager for. It’s enormously powerful, a card that hearkens back to the days when counterspells we not only undercosted, they gave significant advantages. I suspect that this would be a limited edition as Force is said to be, and therefore I’ll say the price here would be around $600. Vigor – This would be an attempt to goose the supply of Vigor for casual players. It’s a really great effect for a wide range of decks and players, something I try to put in as many decks as I can. It dates back to right before Magic started to explode, and would be welcome in lots of formats. It’s never seen much Constructed play, so I’d expect these foils to be around $25. Yavimaya Elder – Hear me out. This is a card that isn’t worth much in nonfoil, but there’s only been one foil printing. This could use the superior Matt Cavotta art, and be a very pretty upgrade in nearly every green deck ever. It would carry a price around $15-$20, and I would be delighted to pick those up. Mikaeus, the Unhallowed – This is a card that frankly people in casual formats don’t play enough. It’s not only Wrath insurance, you’ll also get a re-use of all the sweet enters-the-battlefield effects on the creatures you play with anyway! this would not be a high-value card, but it would be a lot of fun. $15. Sensei’s Divining Top – It was a mainstay of so many decks that it’s banned in Modern due to sheer logistics. It’s an old uncommon, it was in FTV: Exiled, and it doesn’t matter because so many decks like having this effect. Judge foils on this would never be below $50.